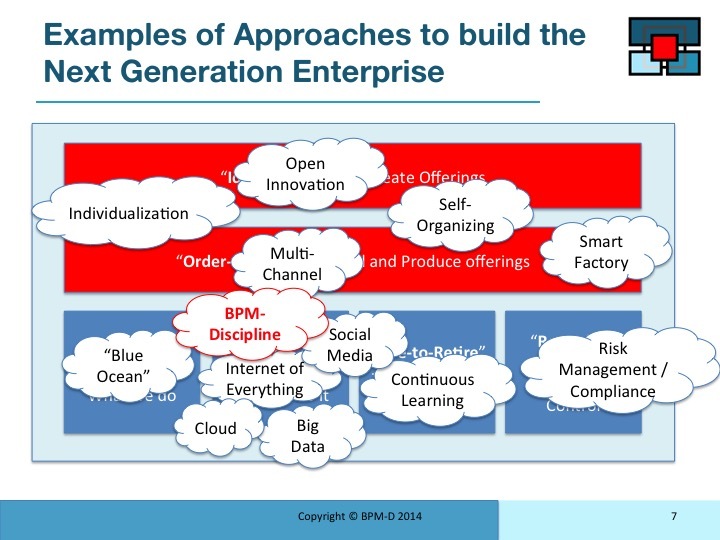 Having watched the video, you will have understood the importance of the Business Process Management Discipline (BPM-D) as an enabler to the “Next Generation Enterprise”. The slides below elaborate on this introduction and afford you the opportunity to review and understand this context in more detail. We live in a very dynamic and increasingly digital business environment. 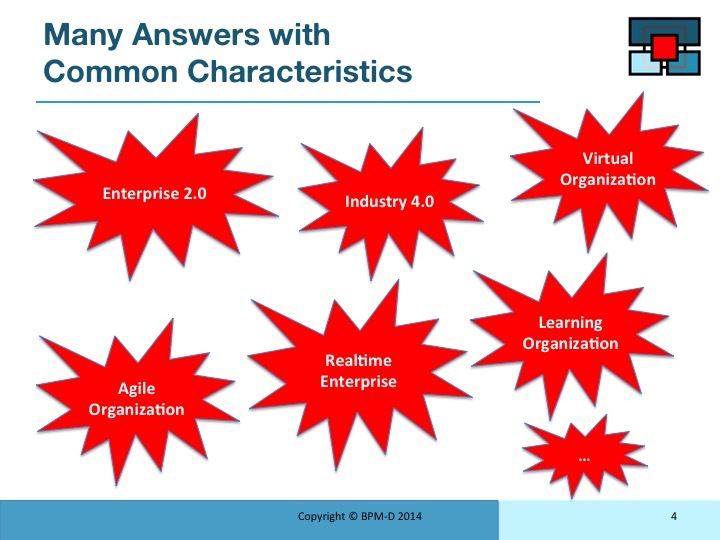 This is as a result of the many factors shown on the slide. Each having a substantial impact and, when seen collectively, create the imperative to be more responsive to change that ever before. 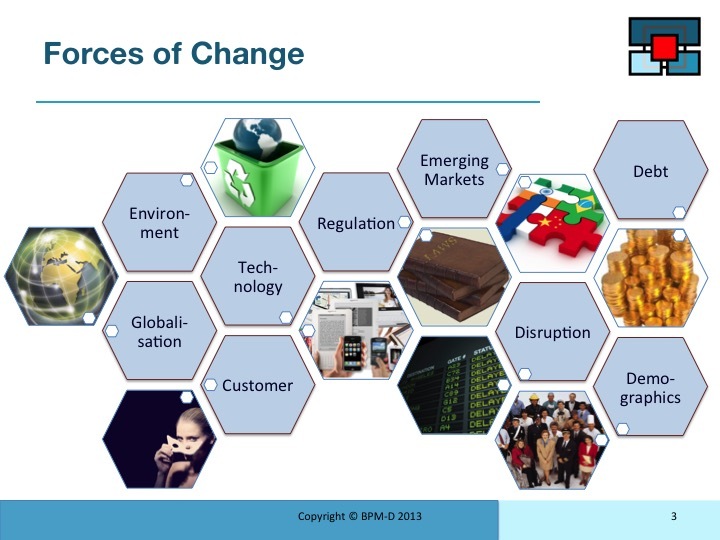 There are many prevalent examples of proposed “answers” to help a business meet the challenge of change. 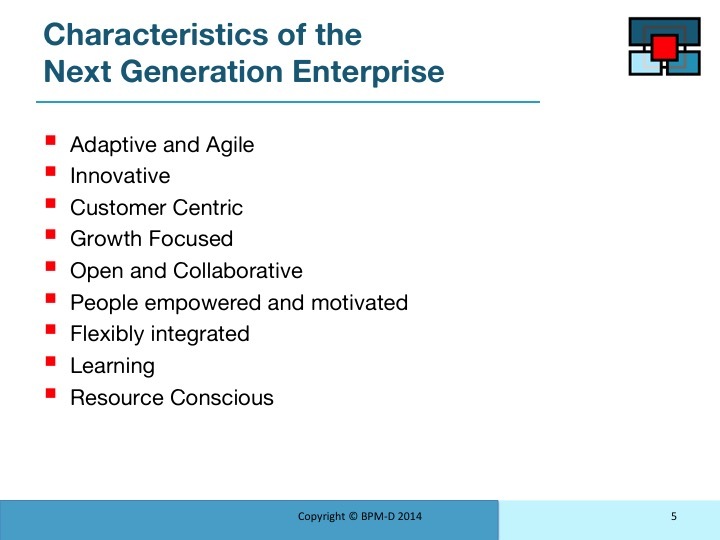 Some of these are shown on the slide. 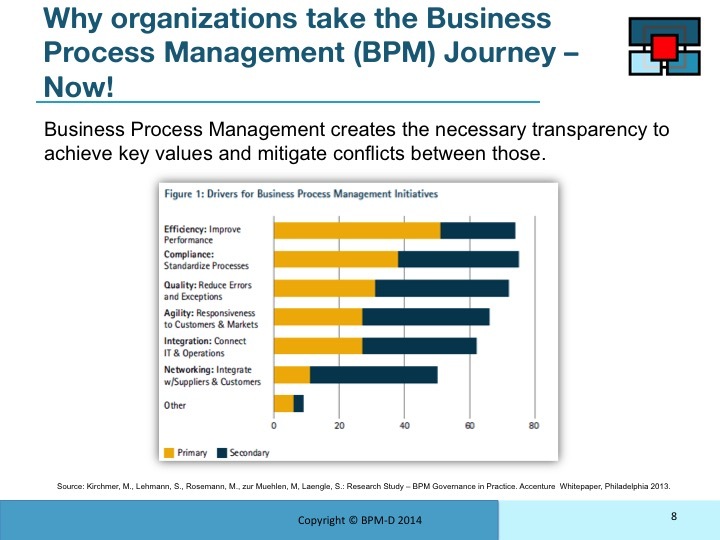 A generic organisation could be described based on the high level processes identified on the chart. Across organisations there are many approaches that can enhance the ability of an organisation to operate more successfully. 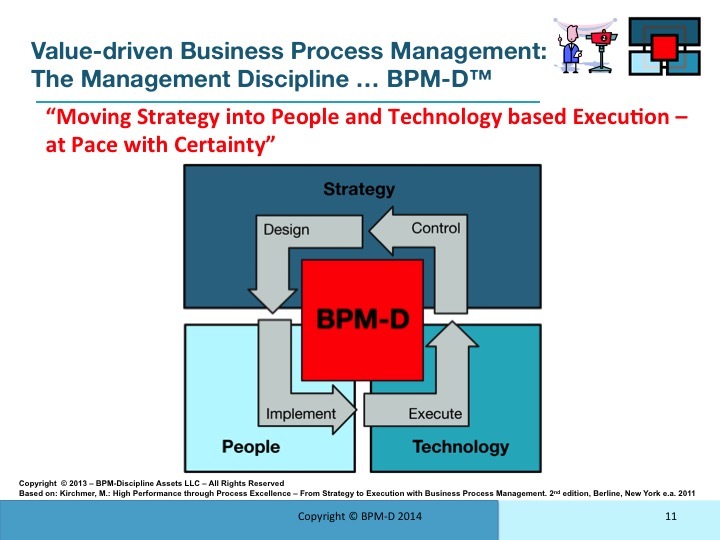 At its core BPM (or the process of process management) is a fundamental discipline that provides the transparency to processes and properly focuses process improvement initiatives. 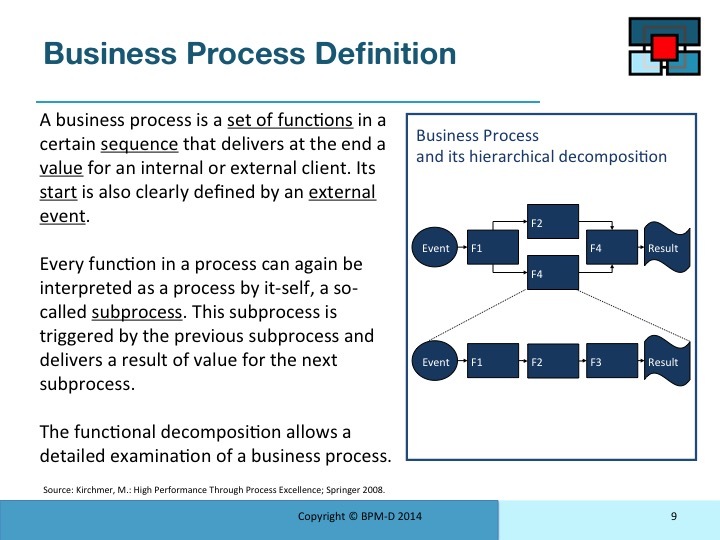 The proper definition of a process explains the need to focus on results felt by customers. 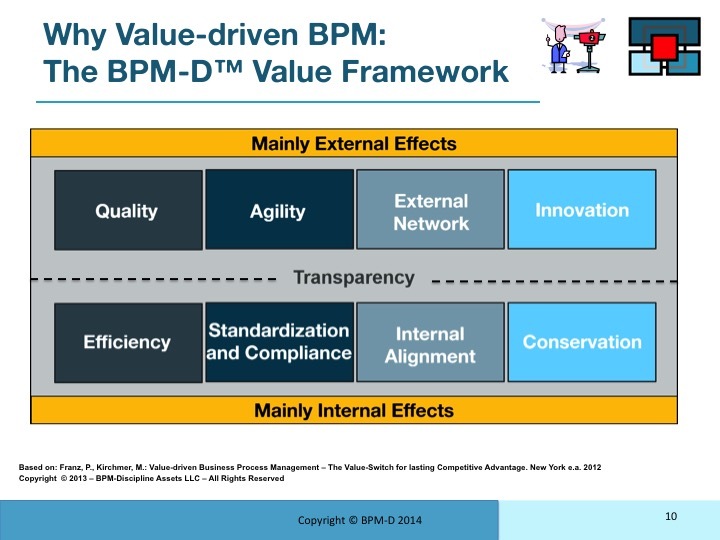 As described by Mathias in the video this understanding of value is central to effective Value-Driven BPM. 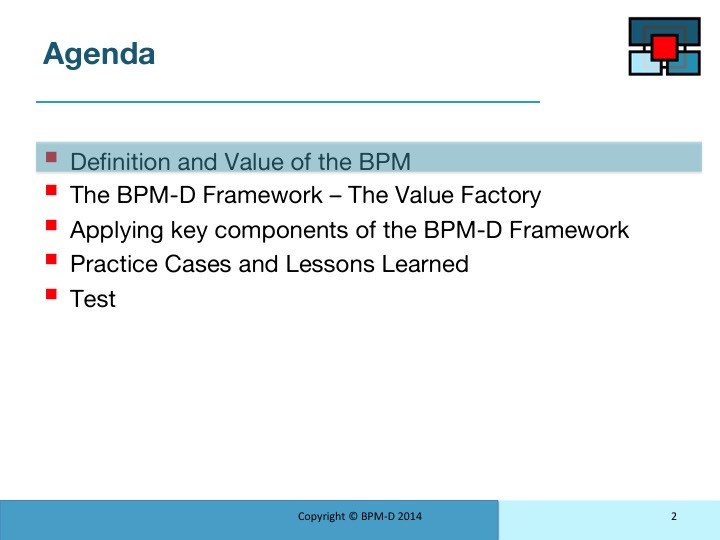 This framework as outlined in the video is a (patent pending) approach to delivering the discipline of BPM. 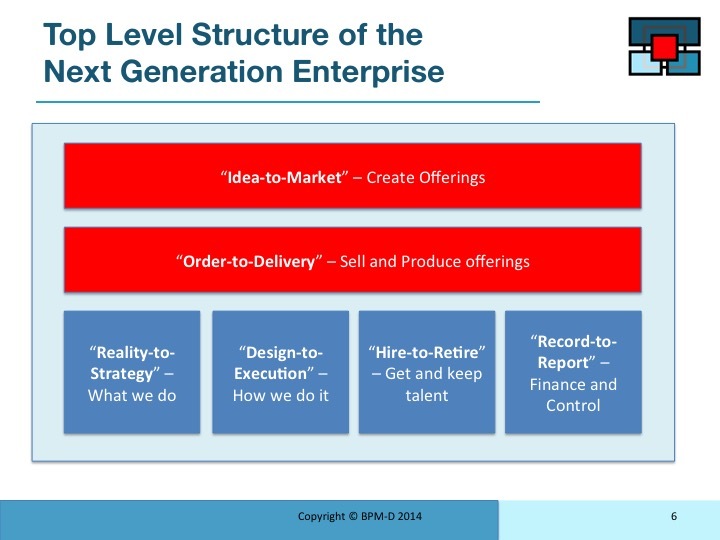 The following sections of this training describe the elements of this framework in more detail.